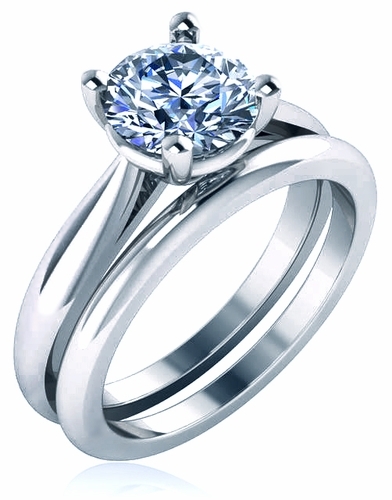 The Kartina 1.5 Carat Round Cubic Zirconia Four Prong Cathedral Solitaire with Matching Band Wedding Set has an elegant simplicity with its gently curved sides that flow up to reveal the brilliant diamond look center stone of the solitaire. 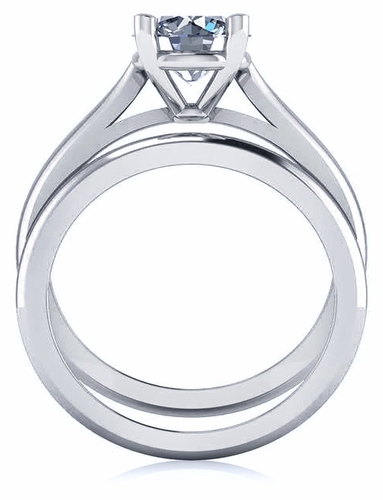 The solid matching band further highlights the solitaire with its subtle presence. 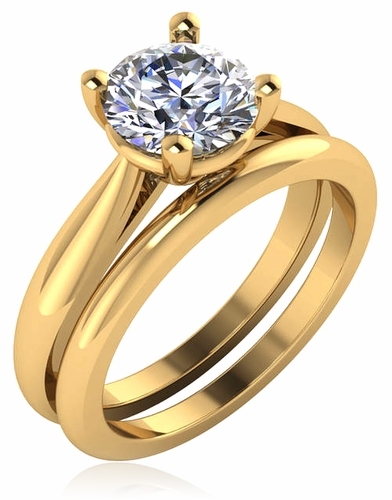 The solitaire and matching band measure approximately 1.78mm in width at its widest point and is available in your choice of 14k yellow gold, 14k white gold, 18k yellow gold, 18k white gold and luxurious platinum. The option for 14k rose gold is also available, in addition to other carat weights, via special order. Center stone color options include diamond look (as shown), canary yellow, and pink cubic zirconia, in addition to man made ruby red, emerald green and sapphire blue. Whole and half finger sizes 5 through 8 are offered in the pull down menu, for additional finger sizes please call. For further assistance, please contact us directly at 1-866-942-6663 or visit us via live chat and speak with a knowledgeable representative.